Welcome to rental senior living with a difference. Discover one of the top retirement communities in Geneva, IL. 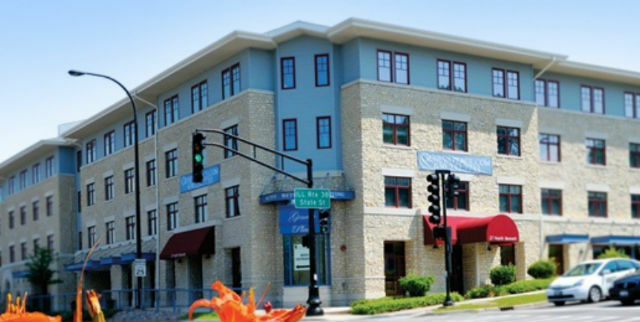 Geneva Place is just steps from the scenic Fox River, nestled in a charming Victorian-style neighborhood in the heart of Geneva, IL. Here, in one of the best retirement communities in the area, you’ll live in a convenient downtown setting minutes from dining and shopping opportunities. Geneva Place offers an array of spacious one- and two-bedroom apartment floor plans with lifestyle advantages you won’t find in most rental communities. You’ll enjoy the confidence of knowing you have priority access to amenities at our sister Covenant Retirement Communities, The Holmstad in Batavia, IL, and Windsor Park in Carol Stream, IL. Lastly, CovenantCare at Home, a Covenant Retirement Communities agency, also offers a variety in-home support services for residents who may need the assistance. Geneva Place, managed by The Holmstad, offers residents a wealth of advantages through its affiliation with the extended Covenant family. Geneva Place residents have created an exceptional community that welcomes people of all faiths. We’re just minutes from the riverfront, nearby churches, great shopping, minor league baseball and a vibrant local art scene. We invite you to schedule a tour and picture yourself here in comfort and style! For more information please call us at (630) 232-7733, or click here to contact us online. At Geneva Place, you can receive health care services right in your own home.